It's been some time. 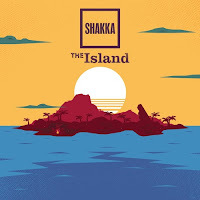 I haven't posted about Shakka since the release of his debut major label EP The Lost Boys at the end of 2015. It was actually the first post of the WIIHAMB re-vamp that properly kicked off at the start of 2016. I was so excited about The Lost Boys that I couldn't help but write at moderate length about the EP as a whole. 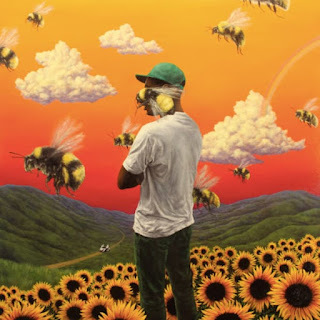 My post is here and if you haven't listened to it you've really been missing out because it takes "concept album" to a new level. Such an innovative idea for your first big push as a major label artist. And obviously the tracks on it were great. I still love 'Say Nada'. Back in November, Shakka released follow up EP The Island. It didn't follow the same narrative concept as the previous release, which was fine but unfortunately the tracks didn't quite live up to those on The Lost Boys... well, the tracks apart from 'Don't Call Me'. And we can resussitate this track because Shakka has just released the music video for it! The standout situation on this song is Shakka's vocal performance. Those notes are high, man. Imagine we could all sing like that. Actually, don't imagine that, that would be terrible. We all know that I'm very into "The Relatable Song" and that is exactly what 'Don't Call Me' is, set to this upbeat pop R&B viibe. That's what's cool about this track actually, it's quite melancholy... but the production and the beat doesn't really give that away at all. A musical juxtaposition. Bottom line is, Shakka's really good and to me it doesn't seem like he really got the push he should have received on Sony past 'Say Nada' as a single. But (and don't take my word for it) it would appear that he may have been one of the artists on Columbia to get the axe after their recent "lol let's just get rid of all rising talent that we have because reasons" purge, so maybe that's a bit of a blessing for Shakka? Who knows, but we'll soon see.